Home / D&D / Gaming / JADE's Black Friday Sale! That's right! 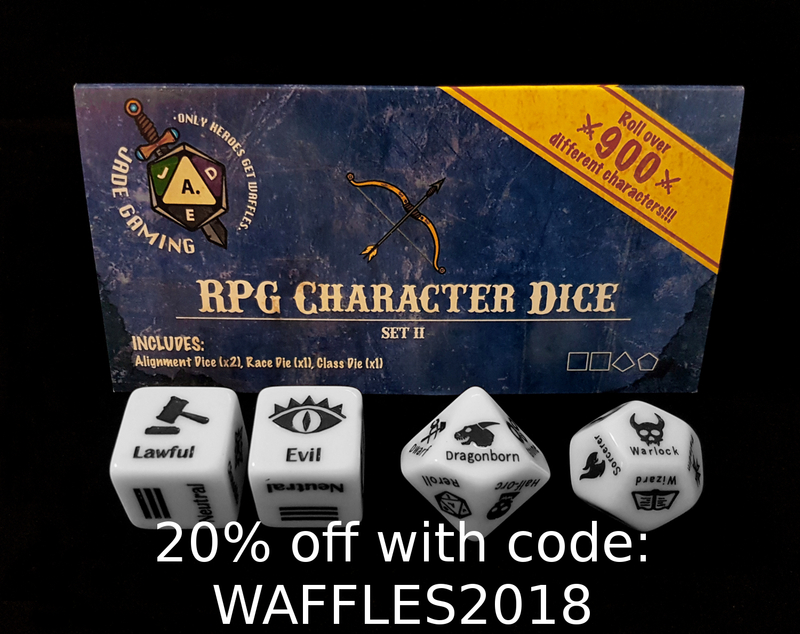 For Black Friday and through to Cyber Monday using the code WAFFLES2018 to get 20% off your entire order! This code is usable for everything in store and last until midnight Monday the 27th! So get your dice from our store and get those character's rolling! And at JADE we always love to hear from you guys! So let us know about the first character you roll up!